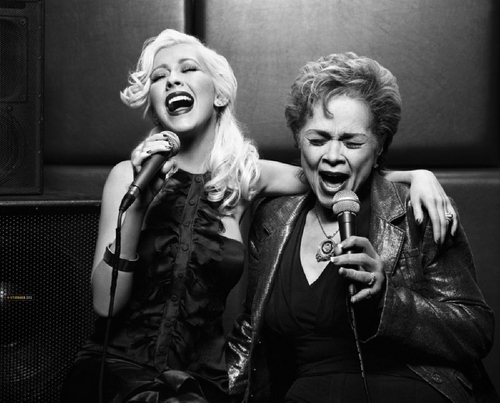 Etta James is one of the greatest vocalists of all time and a personal favorite, one I will miss. Her music greatly influenced many and will remain classic through the ages. 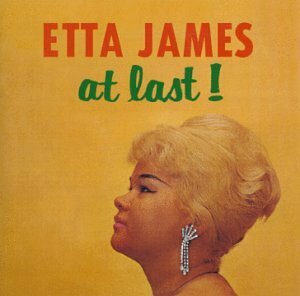 I grew up listening to blues and Jazz, and among others, Etta James will forever hold a special place in my heart. I have many fond memories of her music, including the time I saw her live in 2006, which I never thought I would get to do in my lifetime. As she was coming on stage, my camera was stolen and while my friends were anxious to find it, I kept yelling "who cares about the camera, it's ETTA JAMES!!!!" Many have covered her songs, and played her in films. Among these were Beyonce, who played Etta in the film Cadillac Records, and Christina Aguilera who is another one of my personal favorite vocalists. Etta James's approach to singing and to life was one of wild, desperate engagement. James never again enjoyed a major US hit, although she continued to record strong material. Perhaps her voice, so raw and emotionally expressive, was too fierce for the general public. Indeed, hurt, anger and self-destructive behaviour boiled beneath the surface of her vocals.